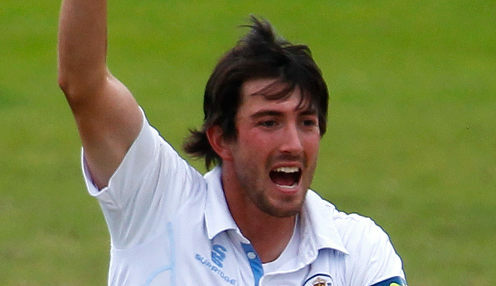 Ex-England squad bowler Mark Footitt has signed for Lancashire from Nottinghamshire on an initial 28-day loan agreement. The 33-year-old appears to be surplus to requirements at Nottinghamshire despite the recent retirement from first-class cricket of fellow left-armer Harry Gurney and the late arrival to Trent Bridge of Australian overseas player James Pattinson. Nottinghamshire do have England men Stuart Broad and Jake Ball fit for Friday's County Championship opener against Yorkshire though and recently signed Zak Chappell from Leicestershire. Notts are 8/1 to win the County Championship Division One title this year while Yorkshire can be backed at 9/2. Footitt, who was selected in the 2015 Ashes series but failed to make an appearance, will be included in the Lancashire squad for a three-day friendly fixture against Loughborough University instead. He will be hoping to do enough to book a place in the XI for Lancashire's opening fixture of the season against Middlesex at Lord's next week. "Mark is a genuinely quick left-arm bowler and he will complement our bowling attack nicely for the first few weeks of the season," said Lancashire's director of cricket Paul Allott. "In order to provide precautionary cover for our seam bowling department, we are grateful to Nottinghamshire and their director of cricket Mick Newell for allowing Mark to join Lancashire at this stage of the season." Newell, who granted permission for Luke Wood to join Northamptonshire in a similar deal, said: "The loan system is something we've used consistently for a number of years now and it works well for us."